I got this a while back and wanted to say thanks to Ole Miss for providing them to me. 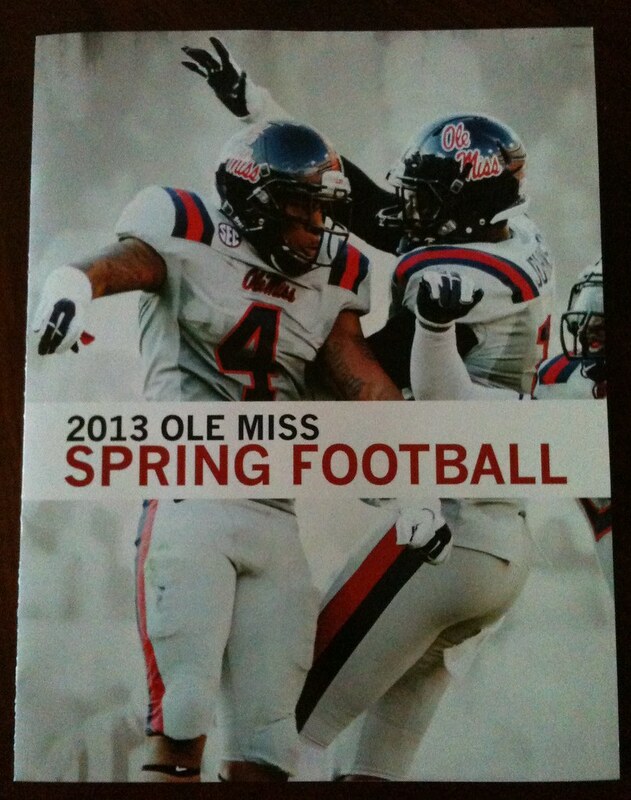 This is a tri-fold brochure (8.5 x 11) with everything one would need to know about Ole Miss football during the spring of 2013. 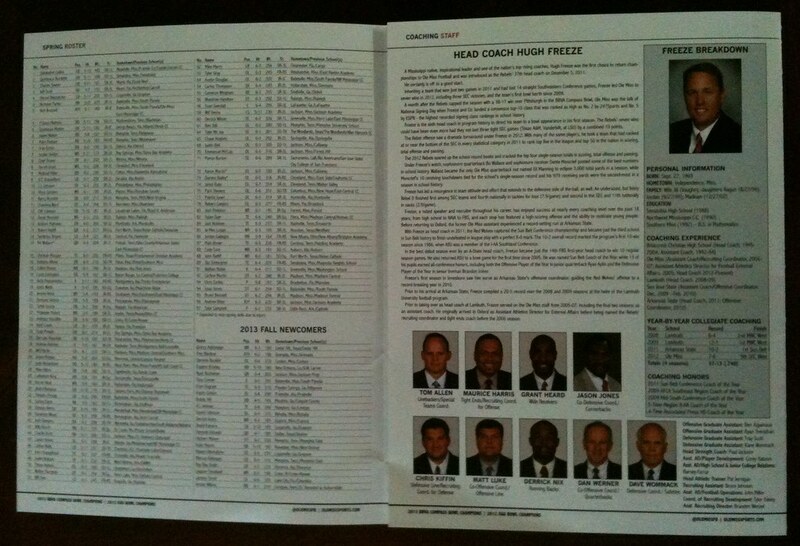 The brochure included a spring roster, coach information, stats from 2012, and a position-by-position break-down of the entire team. This was a pretty useful tool and I appreciate Ole Miss sending it out. I am always shocked that more programs don’t do stuff like this. This entry was posted in 2013, SEC, Spring Football by Travis Normand. Bookmark the permalink.